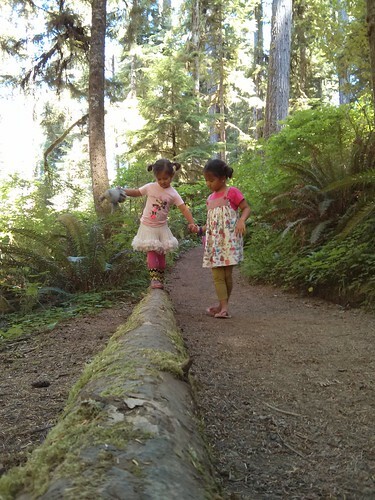 Mali Mish – Day 15: The Olympic Peninsula and Its Rainforests. 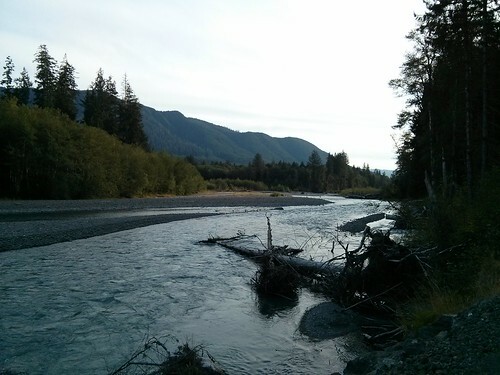 The Olympic Peninsula is a pretty magic place. Along the western side it is very sparsely populated. In the middle of the peninsula is Mount Olympus, the highest peak of the Olympic mountain range. It is also home to the only rainforests in the United States. As I was driving and enjoying the scenic road, I was alerted of a meeting that required me to be on the phone. As I pulled off of the nearest road in an area I would have been certain to not have any type of cell service if only shown a photo, I was surprised to have full bars. 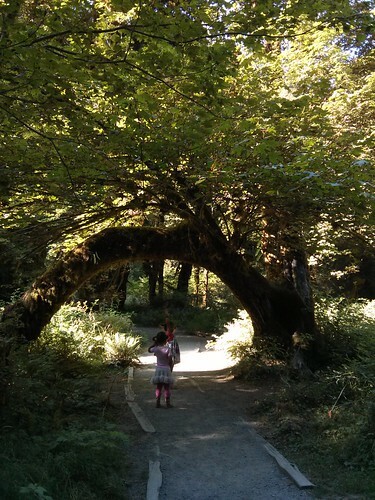 I was even more surprised to find that it was the perfect place to explore the Quinault Rainforest. 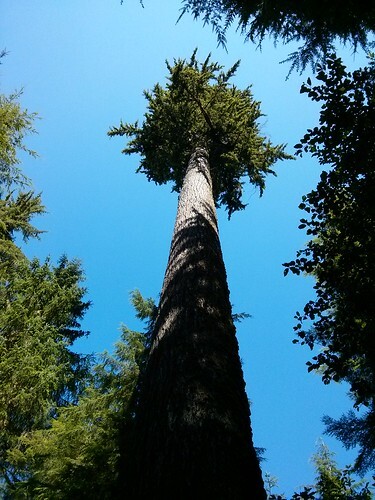 This giant douglas fir fought its way to the top so it can be the first each morning to see the glorious sunlight. In the rainforest, nothing is ever really dead. 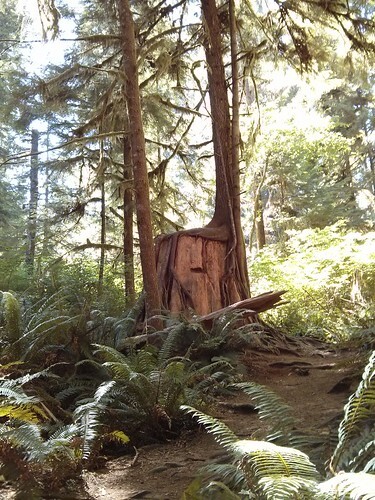 A down tree makes a perfect habitat for a new one to blossom and eventually envelop. 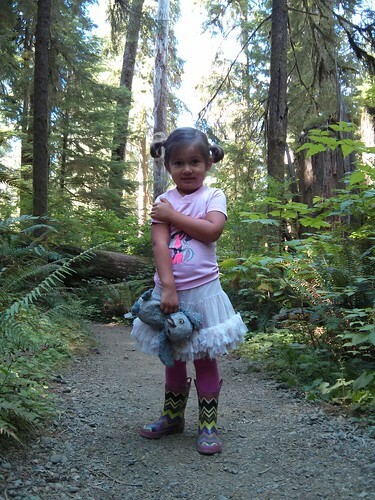 Mila was very inspired by the rainforest and allowed Marlene to finally out her hair up in little pig tails. It is good to have a big sister. 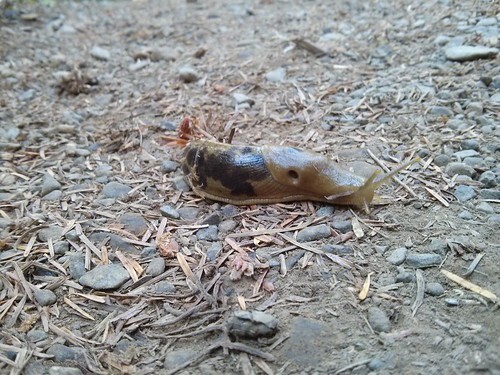 These banana slugs surely enjoy being in a rainforest. 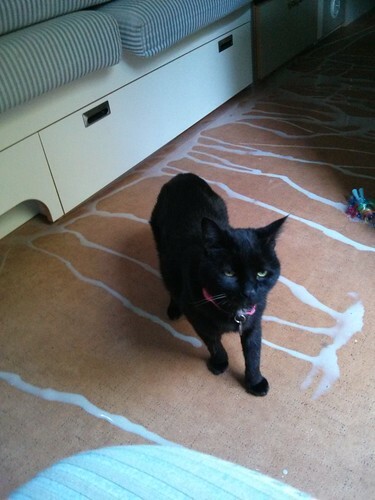 Especially since our littles are not real keen on being near them. 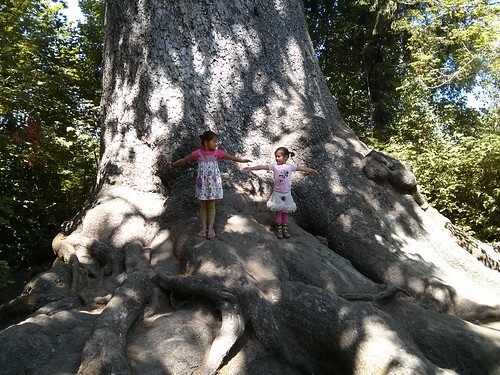 Right next to Lake Quinault sits the world’s biggest sitka spruce tree. 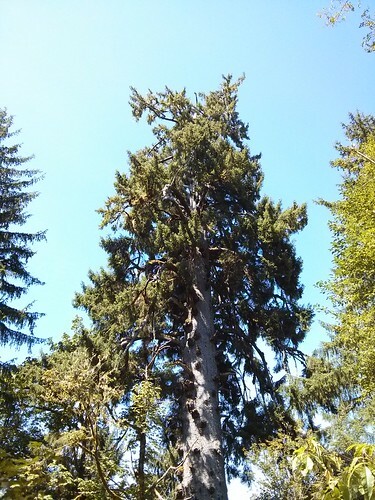 It is nearly 59 ft in circumference and 191 ft tall. It is estimated to be about 1,000 years old. 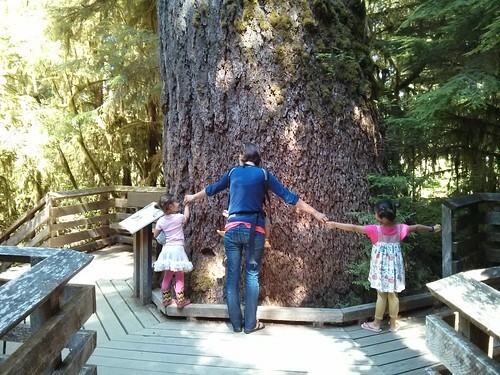 Our our way back from the sitka spruce, we can across a family in an SUV that stopped by as as we were near the Mish. As it turned out, it was one of our Facebook friends. We couldn’t believe what a small world it was for us to be in such a sparsely populated part of Washington and run into someone who recognized us. We have had several exchanges with Kathy online but we never knew what she looked like. 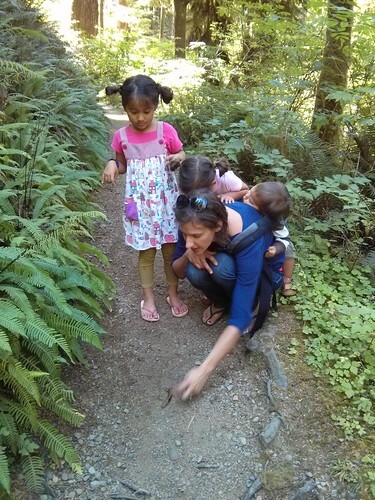 She isn’t even from this part of Washington but was simply sightseeing with her father and children. 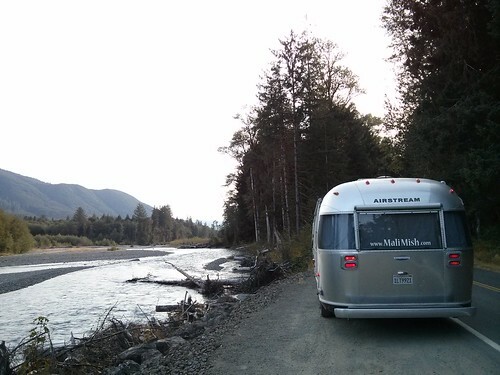 She told us about a dirt road that takes you to a neat waterfall that we decided to tow the Airstream to. This is what happens when you take a bumpy road with an Airstream with a fridge door that isn’t quite closed all the way. 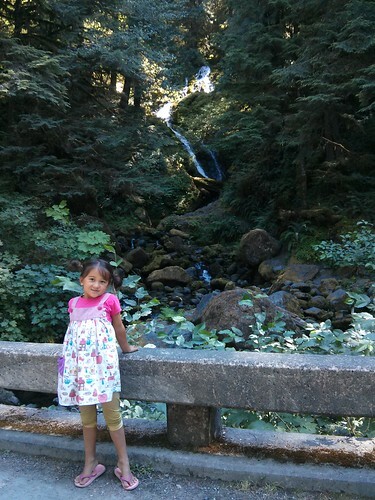 We continued to drive around the peninsula after seeing the waterfall and make our way to the Hoh rainforest. We got there a bit late just as the park rangers were lowering the flag for the day. 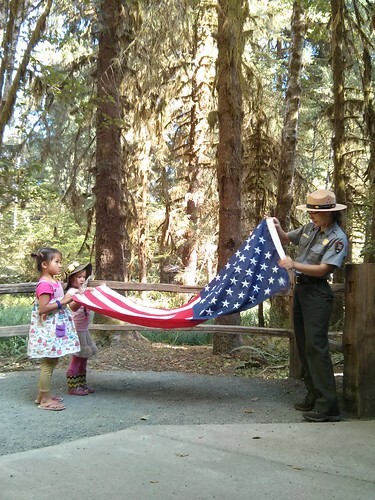 Even though the girls didn’t get to earn a Junior Ranger badge, they did get to help fold the flag. 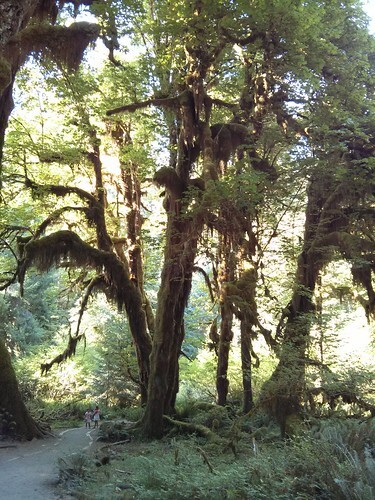 The Hoh rainforest looks like a place from a fairytale. What it is hard to convey in these photos is that moisture plus the warmth of the sun means…. 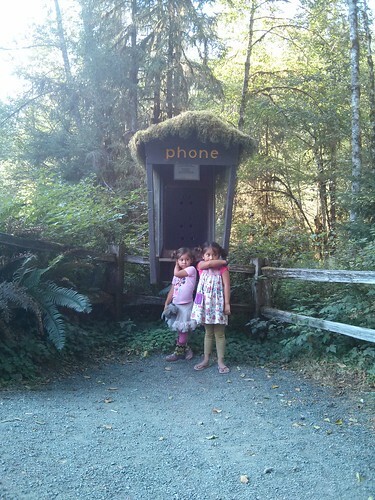 The girls braved the biting bloodsuckers for a moment while we got a photo of them at this phone booth. When was the last time you saw a pay phone with vegetation growing on it? Wait, when was the last time you saw a pay phone? 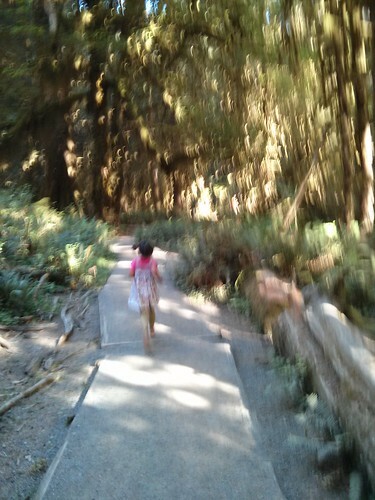 The Hoh rainforest unfortunately was a one way in and one way out detour but it was totally worth the stop. 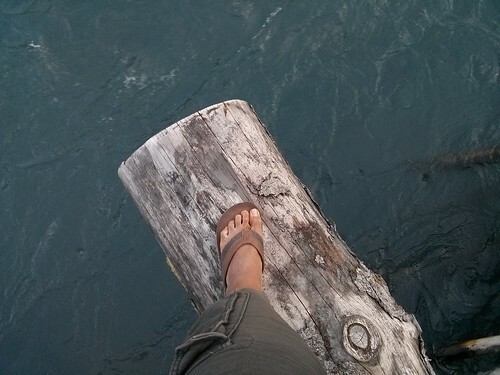 I am sure the water was freezing but I just had to walk out onto this log to get a picture of it. We have done a lot of driving already today but it was also a full day of sightseeing. We have a few more miles to go before we will call it a night at Port Angeles. 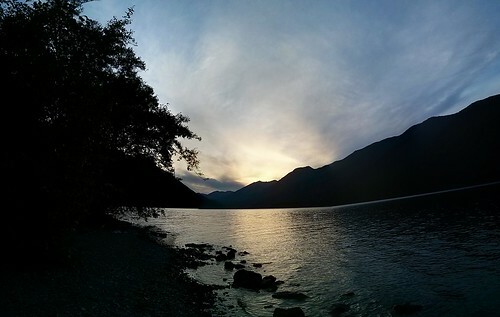 The sun was setting behind as as we passed Lake Crescent. This photo doesn’t quite do the view justice but it is the best I got. Tonight we will spend another night at a Walmart and start to think about doing some island hopping with the Mish.